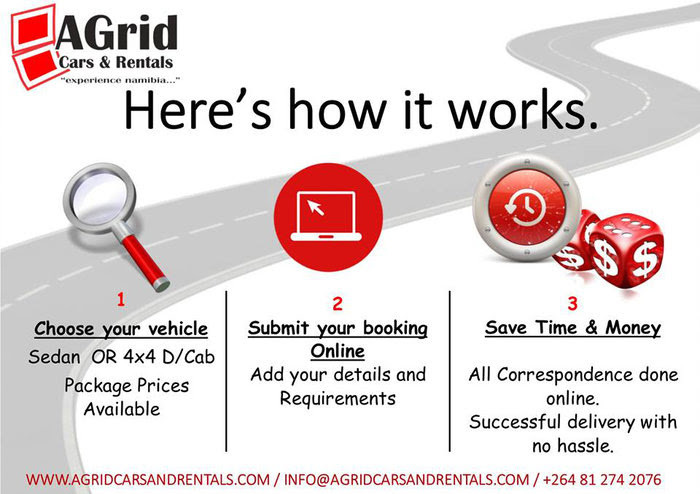 ‘’ Working in the transport and logistics sector for more than 6 years, and after some market research the demand in 4×4 hire and car rental was and still is in high demand. Namibia tourist sector is of high demand and never ending’’. What is your mission with AGrid? ‘’Provide our clients with the most affordable packages to suit their needs. In order to explore and benefit the most of Namibia’’. ‘’We are committed in providing our clients with the best and friendliest, professional car rental service. The comfort and safety of our clients is our main priority and we will be there every step of the way. We also do airport transfers and by going that extra mile, we do car rental collections and deliveries across Namibia, with 24hour backup support including vehicle road-side assistance. We make renting a car seamless, so that you can get right on your way’’. ‘’Challenge yourself and take the risks. Believe that you can succeed, and you will find ways through different obstacles. have a clear vision at all times. Build your own great team, to bolster your success. No one can succeed in a business alone. Learn form you mistakes and complaints and know your customers’’. The Omajowa is a wild giant mushroom found across Namibia. 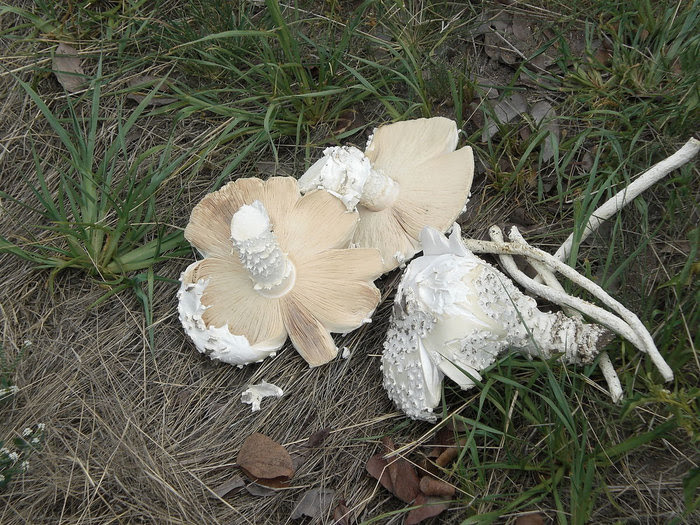 The mushrooms predominantly grow on termite mines and grow to enormous sizes, with diameters of up to 50cm not being uncommon. You can often find vendors on the side of the road in rural areas selling these delicacies after the first summer rains of the season, but supply is limited and they are hotly desired items across the country- so be quick! The mushrooms are used in much the same way as any other mushroom is, but a particularly popular way to eat them is simply pan-friend in butter. Cancerous (malignant) tumors of the connective tissues are called “sarcomas”. 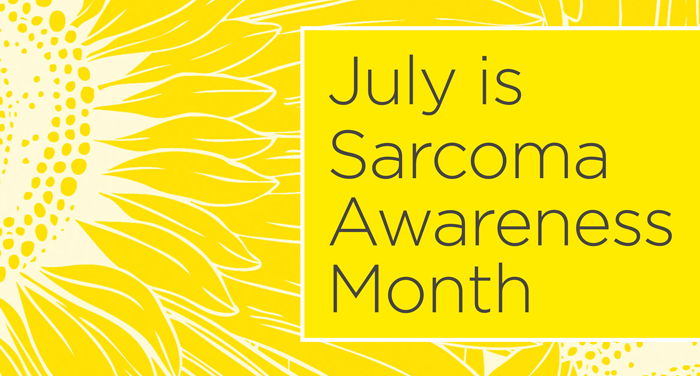 The term sarcoma comes from a Greek word meaning fleshy growth. Sarcoma arises in the connective tissue of the body. Normal connective tissue include, fat, blood vessels, nerves, bones, muscles, deep skin tissues, and cartilage. Sarcomas are divided into two main groups, bone sarcomas and soft tissue sarcomas. Two thirds of sarcomas are located in the extremities (arms or legs). Because it is so rare and it takes multiple forms in multiple locations, sarcoma is difficult to detect, often misdiagnosed and complex to treat. Soft tissue sarcomas are hard to spot, because they can grow anywhere in your body. Most often, the first sign is a painless lump. As the lump gets bigger, it might press against nerves or muscles and make you uncomfortable or give you trouble breathing, or both. There are no tests that can find these tumors before they cause symptoms that you notice. A limp, if the sarcoma is in your leg. As with other forms of cancer, sarcoma cancers are usually acquired. And, as with other cancers, the true causes of sarcomas are most often toxins in our food and our environment, as well as radiation exposure. Most people diagnosed with a soft tissue sarcoma are cured by surgery alone, if the tumor is low-grade; that means it is not likely to spread to other parts of the body. More aggressive sarcomas are harder to treat successfully. The survival rate for osteosarcoma is between 56% and 90% if the cancer has not spread to distant parts of the body. It is more likely to be cured if all of the cancer can be removed by surgery. 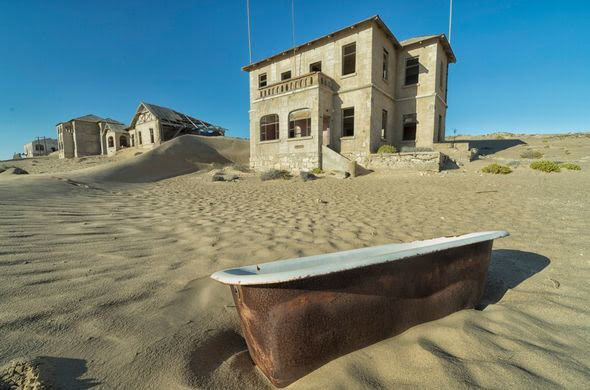 Kolmanskop, located near to the town of Lüderitz, is Namibia’s most famous ghost town. Kolmanskop was established as a mining town when in 1908 diamonds were found along the cost in Lüderitz. The diamond rush led to the establishment of the town. When 30 years later, the diamonds in that area became depleted, Kolmanskop changed into a ghost town. 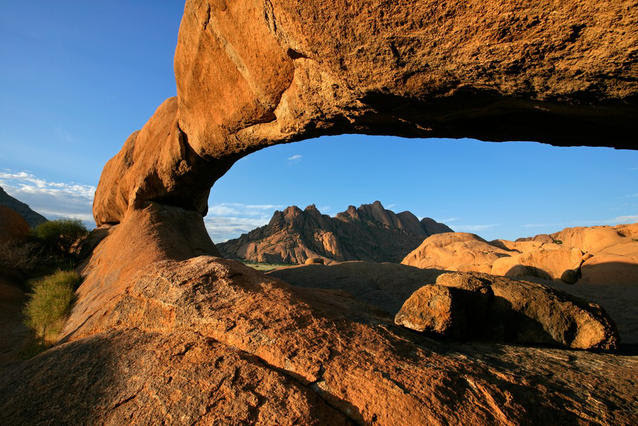 The Spitzkoppe, is a group of bald granite peaks or inselbergs located between Usakos and Swakopmund in the Namib desert of Namibia. 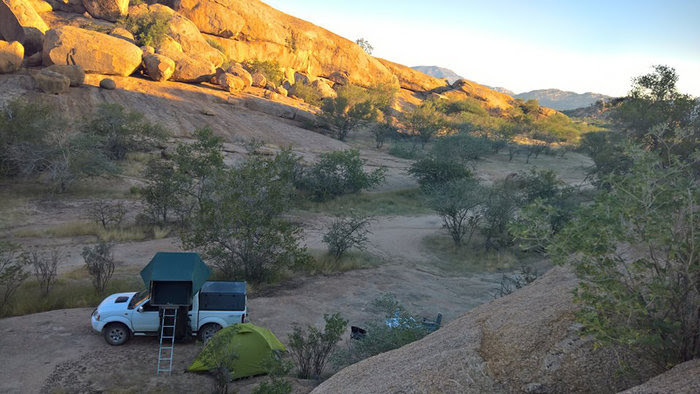 The granite is more than 120 million years old and the highest outcrop rises about 1,784 metres above sea level.The Spitzkoppe campsites is the prefect getaway, with breath-taking views and a night sky filled with stars. If you are an outdoor person and enjoy hiking or just relaxing in the outdoors – a definite visit to this place is a must. These rock formations are stunning and make the most breath taking photos. The sunrises and sunsets speak for itself with no words to describe it. With AGrid you can hire a fully equipped 4×4 and experience the beauty for yourself. You can choose between standard camping equipment and a fully equipped safari package..